See the current status of your boards as well as longer term trends in a visual dashboard created from your Pivotal Tracker data. Explore and click-through to see individual tasks behind the numbers. Use with any of your devices or rotate on the office TV. Sometimes it can be hard to stay track of your work if your stories are scattered over multiple projects. Worry no more, our data aggregation feature allows you to track metrics across multiple projects at once. Have those stakeholders that want to see the status of their project/feature/release, but don’t want to log in to Pivotal Tracker? Subscribe them to the weekly digest so you can keep them on the loop without distracting your team. 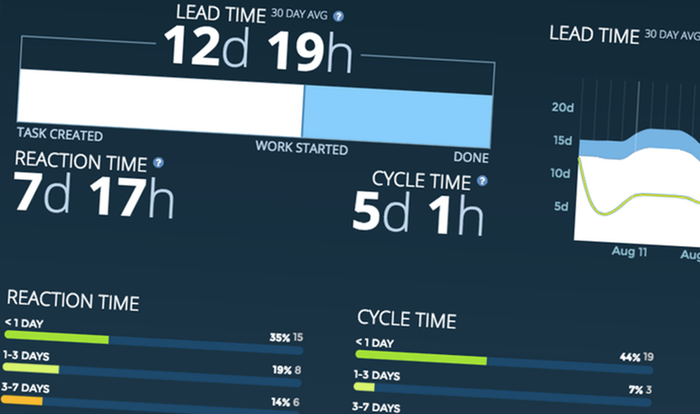 "Screenful helps to make our team throughput and priorities visible, and has increased engagement from other teams in what we do"
How is lead/reaction/cycle time calculated? Reaction time starts when a story is moved from the icebox to the backlog. Reaction time stops when the story is moved from from the backlog to the current sprint. At the same time cycle time is started. Cycle time is stopped when the story is accepted. The lead time metrics are determined by the task's state. The time it spends in the icebox (state=unscheduled) does not count towards the reaction time. This holds regardless of how the state transition happened. Do you take into account the time estimates in tasks? You can choose to use story points instead of task count by selecting Estimates in the chart settings. How do you calculate the milestone forecast date? Forecasts are based on the number of tasks completed during the past up to ten whole calendar weeks (ie. the team's velocity). The average, best, and worst case predictions are extrapolated from different velocity scenarios, which are based on actual historical performance, not guesses. If there are five or more calendar weeks of history then the smallest and largest velocity are omitted from the average. How is ahead / behind target calculated in the Sprint burndown chart? See the Sprint Burndown FAQ. Do you take into account the release markers in Pivotal Tracker? Yes. You can choose which release you want to track by selecting the release from the drop down menu in the milestone burnup settings. Is there a way to consolidate data from multiple projects on one screenful dashboard? Yes, you can create duplicates of any of the screens and let them pull data from any of your Pivotal Tracker projects. 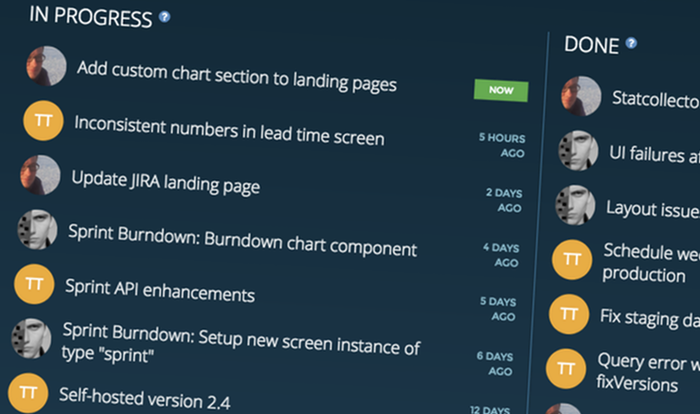 You can also aggregate data from multiple Pivotal Tracker projects into one dashboard.